Used ATV Price Guide. Learn the latest ATV prices. Find the Most Up to Date Prices for Used ATVs. Used ATV Price Guide is a handy tool if you want to know current 4 wheeler prices. The best place to start your search is with the two most recognized ATV price guides. The NADA Guide and the Kelly Blue Book. These are the price guides most ATV dealers rely on. You should too. Let's take a look at both and as we do I'll include some tips that will help you figure true 4 wheeler values. 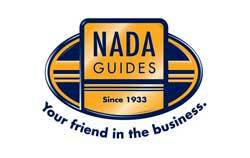 NADA Guide - First off, you won't find an official Used ATV Price Guide listed. Used ATV prices will be found under the Motorcycles tab. Looking for UTV prices? They're in the same place. After you get to the motorcycle page, just click on the first letter of the manufacturer's name of the used ATV you're interested in. On the next page, find the full manufacturer's name and then click on the year model. You will then be taken to a page with all the models listed that were sold in that year. Take a breath, you're almost done. Now just click on the name of the model you want to see. You will now be looking at the options page for that model. Click the box next to any options your dream machine has. And now ... drum roll please, click on the "Get Used Value" button. Eureka!!! ... All the hard work has paid off. You now see a page with several used atv prices listed. And your next question is "What the Hell does all that mean"? OK, let's see what all these different prices really mean. You'll see two pricing columns with the headings Low and Average Retail. Just think of this as a way to bracket the used atv value. A quad that needs some work should be figured on the low side and one that's pretty much ready to go would be closer to the average price. Then there are 3 rows with headings of Base Price, Options, and Total Price. The base prices are atv values before any options are added. The Options row will show the value of all the items you checked in that step. It's pretty obvious that the total price is the base price plus the value of the listed options. The ability to itemize options is a feature found only in the NADA Guide. A really useful one in a used ATV price guide. Keep in mind this may be a bigger advantage for the seller. It allows them to add the value of atv accessories they've added like exhaust systems, windshields, etc. As a buyer, you could use these values to get a better price. If they're things you don't want, ask the seller to deduct the cost of the options from his asking price. Just below the Total price heading you will see a Suggested List price. This is what the ATV would have sold for new. If you were looking at several used ATVs, it's a good way to compare the original cost of different models. With all the model designations used, it's hard to keep up with which ones cost what when they were new. 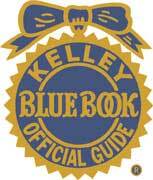 Kelly Blue Book - This is the most popular used ATV price guide. Like the NADA Guide, there is no ATV listing yet. You'll have to look in the motorcycle listings. If you're starting at the Blue Book Home page you may not see it. Look in the lower left hand corner for a "Motorcycle Values" tab and click on the link. Or you can click on our link and go straight to that page. You will be asked for your zip code at some point in the process. Once on the Motorcycle Values page, click on the Motorcycles link. That takes you to a Motorcycles page with two options. Trade-in values and Retail values. Let's look at retail value first so click on that link. You should end up on a page called Motorcycle Retail Values with year models back to 1970 listed. Click on the appropriate year and you're transported to a page of Manufacturers. Click on the maker of your choice and you go to a page with all the models for that year listed. Click on your model and the quest has ended at a page showing the suggested retail value. The ATV Blue Book price shown represents the average dealer retail asking price for a 4 wheeler in excellent condition in your region of the country. My experience has been that Kelly Blue Book retail prices are very advantageous to the dealer. That's why dealers like to quote Blue Book prices! Actual selling prices are usually a good bit lower. On the flip side are the Blue Book trade-in values. Dealers win here too. If you want to know this price, go back to the Motorcycle page and click on the Trade-In Value link. Follow the same procedure and you end up at a page showing the trade-in value of your selected ATV. You'll notice these values assume "good", not excellent, condition. The values shown for trade-ins are usually lower than what those models would really sell for in the open market. It's really just helps the dealer widen the gap between what he offers for a trade-in and the retail price he will then ask. There isn't really anything wrong with this ... it's just business. You just need to know how the game is played. Used ATV Price Guide - Final Tips. I don' know if one used ATV price guide is any better than the other. I really like to look at the numbers from both since they are not showing exactly the same values. It doesn't matter if you're buying or selling an ATV. A used ATV Price Guide will help you determine a fair value. Just remember the prices you see listed are not cast in concrete. Think of them as a starting point and they will help you get a fair deal on your used ATV. Click here for the best free sources of Used ATV Prices.